Awesome Support is a feature rich help desk plugin that is chockful of goodies that developers can build upon. However, in the past, information about these developer-focused features were scattered around and, frankly, hard to find. One of our goals this year was to better focus on our developers needs and, even though its a little late in the year, we are proud to announce the beta availability of our Developer Portal. 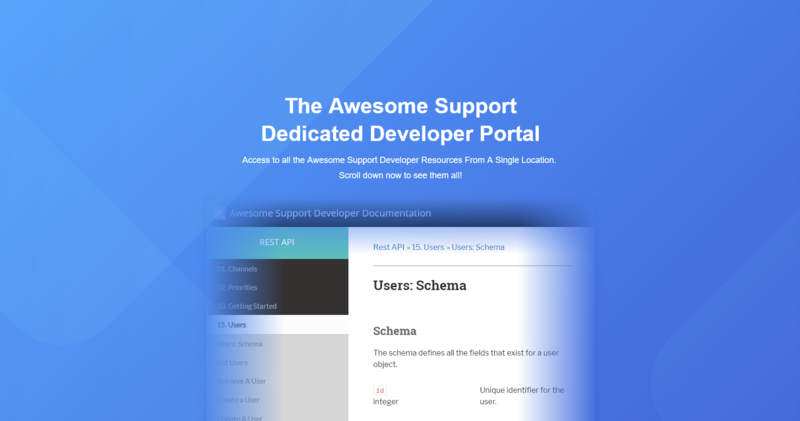 Located on new subdomain, the developer.getawesomesupport.com portal centralizes all the developer focused resources we have. This means that documentation in our regular site that can be useful for developers along with links to Github and new API documentation are now all accessible from a single location. API, APIs and More APIs! Did you know that we actually have TWO APIs? One is a REST API that is now included in version 5.8 and later of Awesome Support. The other is a classic WordPress set of hooks and filters. There are more than 300 hooks and filters available! And we're working on getting them all documented on the new developer portal. Most developer portals are simply API documentation portals. However, we want to make ours much more than that. So, to that end, we have included links to code samples as well as things like translation resources and other similar documents that developers usually need. 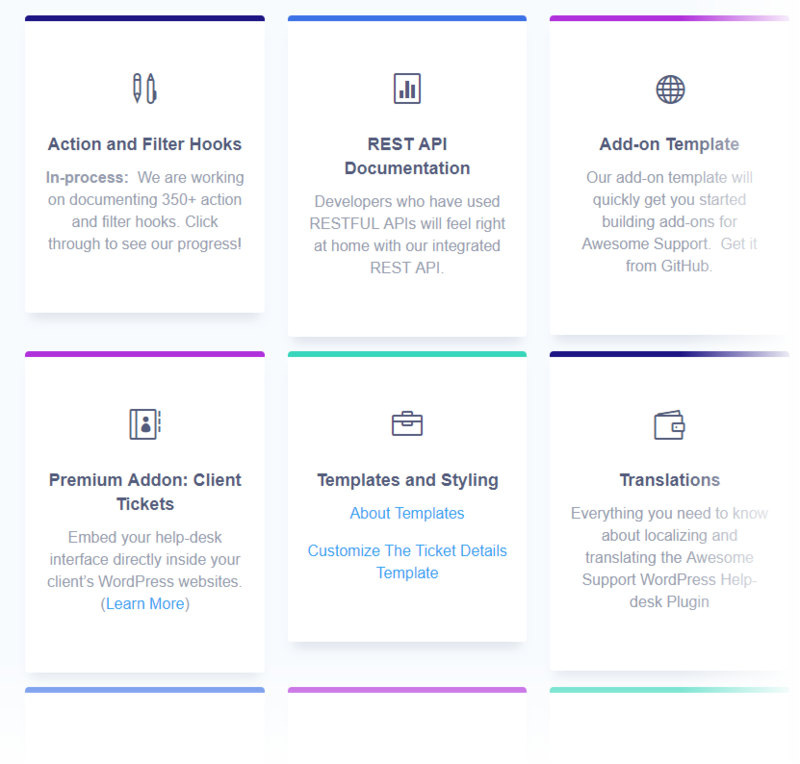 As part of our focus on developers, we have a number premium add-ons that are developer-focused and built on our REST API. Developers can use these as production-level examples of how to use the REST API as well as incorporate them into websites that they build and deploy. Client Tickets: Developers can embed a help-desk client directly inside all of their WordPress based websites. If you're a developer and would like to contribute to making the documentation better you can do so via our contact form on our main site. Remember, the core plugin is a free and open source so any contributions you make will definitely be benefiting the overall WordPress community!